Honor Roll Member – Bridwell, Gary Kent « Perry High School Alumni Association, Inc.
Gary Bridwell graduated from Perry High School as a member of the Class of 1970. While at Perry, he played on the football, basketball and golf teams. Gary is also a graduate of Oklahoma State University where he earned a Bachelor of Science degree in physiology in 1974 and his MBA in marketing and finance in 1976. Gary represented Oklahoma State University as Pistol Pete Mascot #19 in 1972 and 1973. He continues to support OSU as an active board member of the OSU Leadership Council as well as the OSU Athletic Council under athletic director Mike Holder. Gary has spent 40 plus years in construction dealership sales, management and ownership for Ditch Witch, the leading brand worldwide in the underground construction industry. He started his career at Ditch Witch with his parents, John and Betty Bridwell, where he oversaw the Tulsa market. After a 20-year partnership, Gary purchased the Oklahoma business from his parents. Since that time, Gary has purchased additional locations throughout the Midwest and now owns and operates in 9 states. His Oklahoma dealership has consistently been recognized as a Top Ten Dealer worldwide. His oldest son, Dru, joined the company in 2008 and directs operations for their Rockies division. 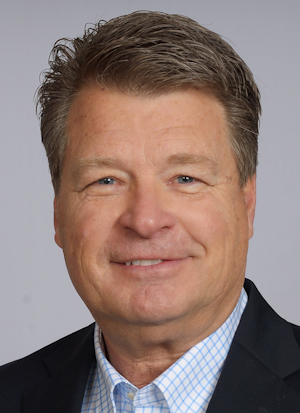 Gary also serves as a Foundation Board member of Associated Equipment Dealers, a worldwide Industry association and is active on the board of the OKC All-Sports Association. In addition, Bridwell is past Chairman and a current member of the Edmond Economic Development Authority in Edmond, OK.
Gary and his wife Mary Ellen live in Edmond and enjoy attending their respective university sporting events, church activities, golf, travel and their five grandchildren. Both have been heavily involved in numerous non-profit charities throughout Oklahoma and in North Carolina and continue to serve in advisory board roles for several organizations. The Bridwells have two sons, Dru and his wife Daryn who is a RF consultant with grandkids Cade and Camryn in Denver, and Cody and his wife Piper with grandkids Legend, Temple and Judge in OKC. Cody is a Spine specialist with Medtronic Health and Piper is a professional freelance artist under the name PiperB Studio.